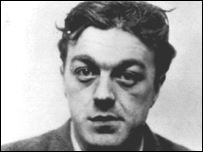 Police killer Harry Roberts, who has served more than 40 years for murdering three officers, can seek a judicial review over a failed parole bid. Roberts, 71, is serving life for the 1966 killings in Shepherd's Bush, west London. His 30-year tariff expired nine years ago. He lost his parole bid last December on the basis of secret evidence. A judge ruled his case was "of great public interest" and gave him leave to seek a High Court judicial review. 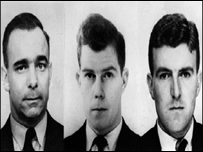 The murder of Pc Geoffrey Fox, 41, Sgt Christopher Head, 30, and Det Con David Wombwell, 25, became one of the most infamous crimes of the 1960s. All three were unarmed and in plain clothes at the time of the attack. The officers were shot in front of children playing in a street, after they had pulled over a van containing Roberts and two other men following an armed robbery. Under current rules, Roberts can only be kept in prison if he is still considered dangerous or a risk to the public. Roberts is being held in a low-security prison near Newton Abbot, Devon.